Do You Have a Special Grab-N-Go Emergency Binder? It seems I am covering this topic every year! Here in California it is mostly due to fire, landslide, or earthquake disasters. As I write this post, the Camp Fire has ravaged Paradise, CA and here in the Bay Area we have been breathing unhealthy air for over 10 days. It’s necessary to have an emergency binder for other reasons as well. Most notably, a medical emergency as I wrote about in January 2017. It’s not a pleasant thought, but a disaster is an event for which we should all plan ahead. Everyone needs a Grab-N-Go binder for important documents. We all need to prepare a special binder or folder for that inevitable day. I call this my Grab-N-Go binder. If you are a couple of modest means, a nice folder should suffice. If you have more to deal with such as investment accounts, businesses, or real estate, you may wish to have a binder with more sections and something that is sturdy. You want ALL of your important financial and family documents and records in this binder. You should customize it so that it works for your personal situation. For me, I keep passport copies, auto titles, and important certificates in mine as well as all key financial documents. My actual binder. It’s a zip closure for extra security. Keep the following points in mind regarding your binder. Be sure to review and update your binder documents as needed. It would be a good idea to make sure, for example, that your password list is updated quarterly. Social media platforms and passwords for bank and brokerage accounts change frequently. You may also need to update your will or powers of attorney if you make changes to your decisions or have new members join your family, or if you simply change your mind about your final instructions. 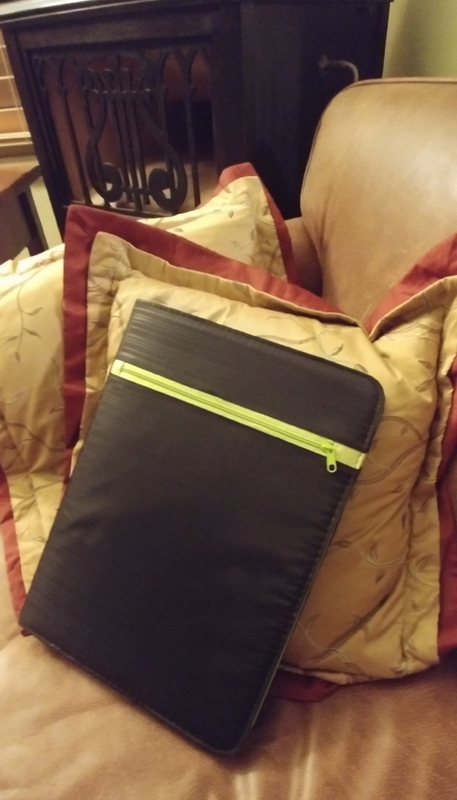 Be sure to let every member of the family know where this binder will be stored and that it should be packed and taken with you when evacuating. One client keeps hers in the family’s disaster go bag. It’s also a good idea to let a close relative or family friend know about your binder and its location or keep a backup copy for you. If you do not have a family member or friend that you trust, ask your attorney or other close advisor if they would be willing to safeguard your binder copy.